…with the Hammond organ. To be more precise the sound of the Hammond B3 AND the Leslie Speaker. From what I can gather the Hammond B3 was introduced only in 1954 and Laurens Hammond, its inventor fiercely fought Donald J. Leslie, the inventor of the Leslie organ Speaker – despite making the Hammond organ more popular! As someone put it ‘A Hammond organ without a Leslie is a ship without sails’ and I wholeheartedly agree – I generally find it very hard to accept any substitutes – aside from the fact that it is notoriously hard to transport the beast that is the Hammond plus Leslie. Over the years I’ve been extremely lucky to work with fantastically talented Hammond organ players like Rich Milner, Ross Stanley, Oliver Kerschbaumer and last but not least Dave Limina, who is responsible for me getting hooked on the Hammond – he has been on most of the Funkestra records, including our first one ‘Boozing Wizards’, recorded at Winthrop, Boston in the spring of 1996(!). During our recent trip to Boston playing on Dave Limina’s first solo record (read more about our Boston trip here), we were reminiscing and laughing about how hard it was to carry the Leslie up to the third floor were the recording studio was set up. That’s commitment! I wanna hear all about your Hammond organ stories, in case you have any! Also, who are your favourite Hammond organ players? 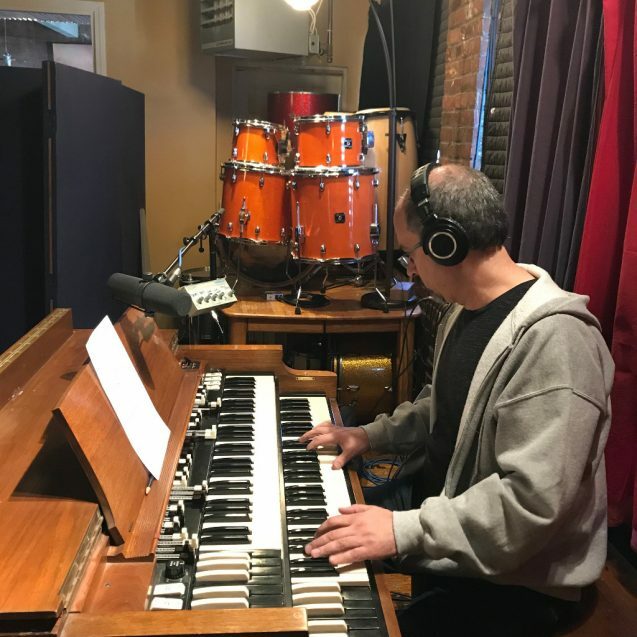 Click here if you want to watch Dave play the Hammond organ with the Funkestra at Berklee College of Music. 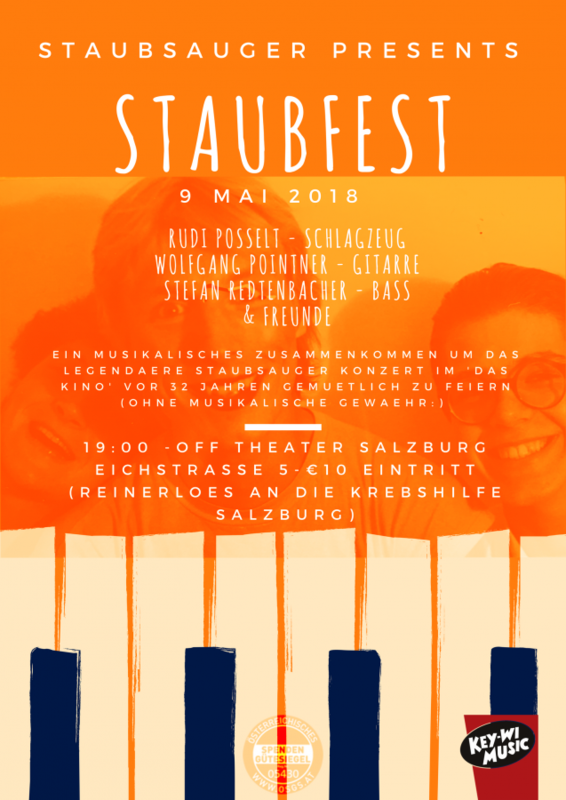 I re-united with my pals Wolfgang Pointer (guitar) and Rudi Posselt (drums) and played some music – like we used to in 1986 (!) – it was great fun, many new and old friends showed up and we raised some money for cancer charity! The Funkestra quintet played at ‘Jazz at Boaters’ in Kingston. Mike Sturgis (drums), Ross Stanley (keys), Piers Green (tenor saxophone) and Mike Outram (guitar) from Electric Campfire (doing his first entire gig with us) had a blast om this Sunday evening. The crowd loved the band and were blown away my Mike Outram’s ridiculous skills. 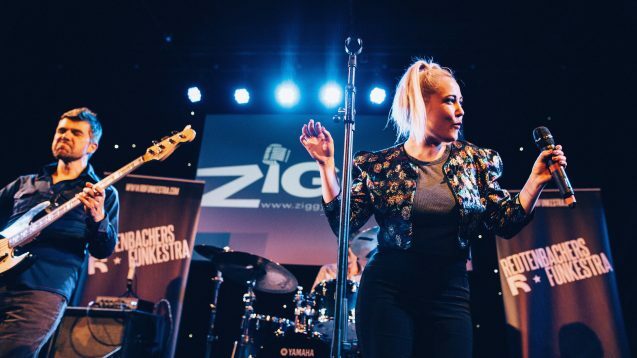 We launched our single ‘Toxic’ with Helena May at Ziggy’s in Enfield. Helena May (vocals), Mike Sturgis (drums), Mike Outram (guitar), Rob Taggart (keys), Piers Green (tenor saxophone) and Graeme Flowers (trumpet) all sang and played their funky socks off. The crowd was super-enthusiastic and we are looking forward to seeing the concert footage by Leo Mansell. 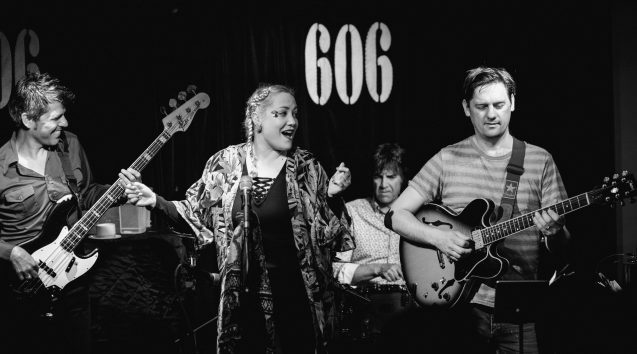 This was our exclusive physical CD release party at the 606 club in Chelsea. It was fab to play with the exact line-up as the week before and we were hitting some seriously funky grooves. The crowd was very supportive and we certainly broke our own CD sales record that night. Check out the fantastic photography by Rob Blackham here. And last but not very least – of course – I’m so happy that the vinyl LP has finally come together and people seem to really dig the sounds. Jump over here if you want to get your own copy. June has started strong with the exclusive physical CD release party and can’t wait to tell you everything that’s going to happen in June! Check in frequently and subscribe my newsletter – especially after the whole GDPR regulations malarkey!